Minotaurs Space Marines – Apothecary Heliodorus (2e, 1995) | Azazel's Bitz Box. 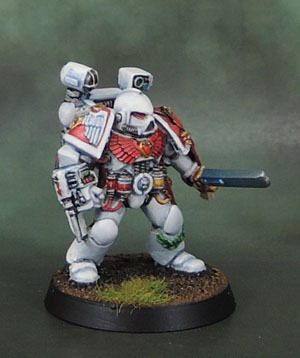 This entry was posted in 40k, Minotaurs Space Marines and tagged 2nd Edition 40k, Minotaurs Space Marines, Oldhammer, Space Marine Apothecary. Bookmark the permalink. 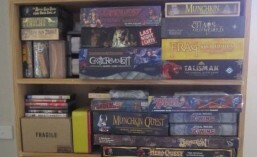 ← WAAAAGH! Pt.3: 40k Ork Slugga Boyz. I really like the shine you’ve added to his chest gem. Brilliant. 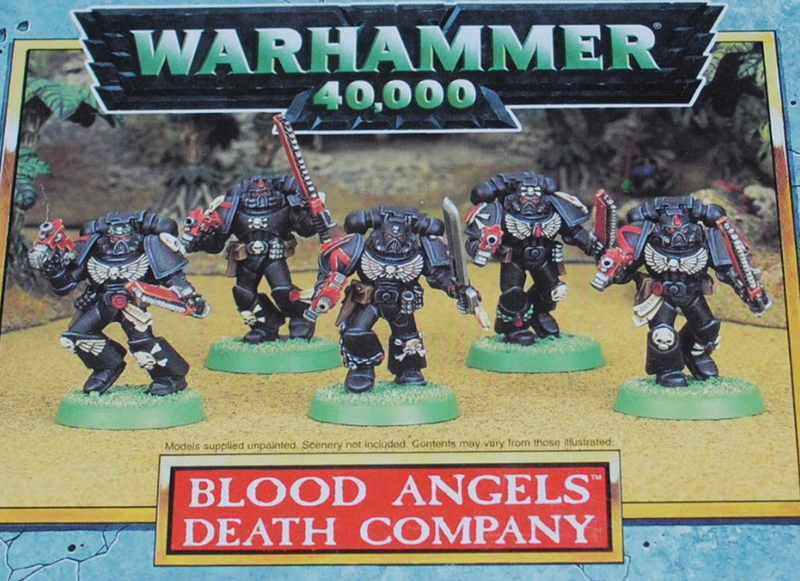 Love these 1990s Apothecaries but strangely I have never owned one of the models. 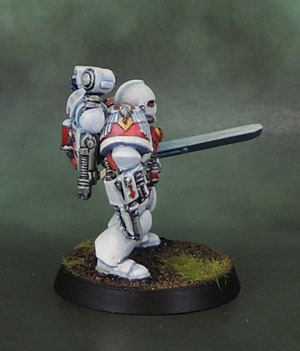 Nice job dude – he looks quite the pain to paint! I’m intrigued that you went for so much clean white, and with none of that lovely Minotaur brass that you do so well – does he fit in ok with his fellows? 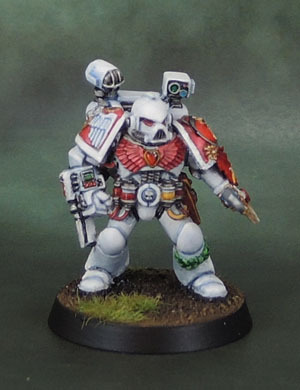 I think the Librarian palette change came about in 2nd edition wheras Chaplains and Medics had the Black and White established in the early RT days, along with the obvious thematic connections of white to medicine and black to guys wearing skulls on their heads. 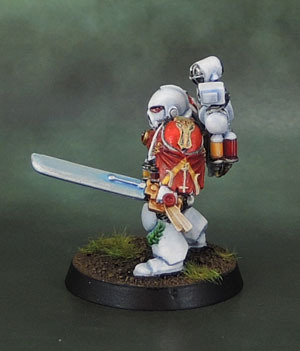 Techmarines in red were also acceptable since it was already a strong thematic link to the Adeptus Mechanicus of Mars. LIbrarians in blue seemed to be more about “those other specialist guys all have colours”, let’s go with blue because ultramarines!” since Wolfy Rune Priests were already happily wearing grey. Job well done with the white. Such a difficult colour to master. I’m not looking forward to painting my Apotecary for that very reason. Thank you! 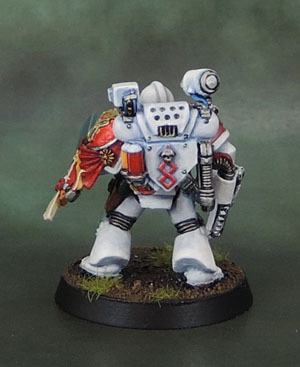 Minimising the amount of white on them is a perfectly valid and fluff-friendly option – and one I’ll be taking for a lot of the other chapter forces I paint up.